This is my first Indian Wedding. Gosh! It's so exciting. So many events and venues, all in a day. Phew! Luckily, I don't have to worry about what to wear. All taken care of by Designer Anu PD. 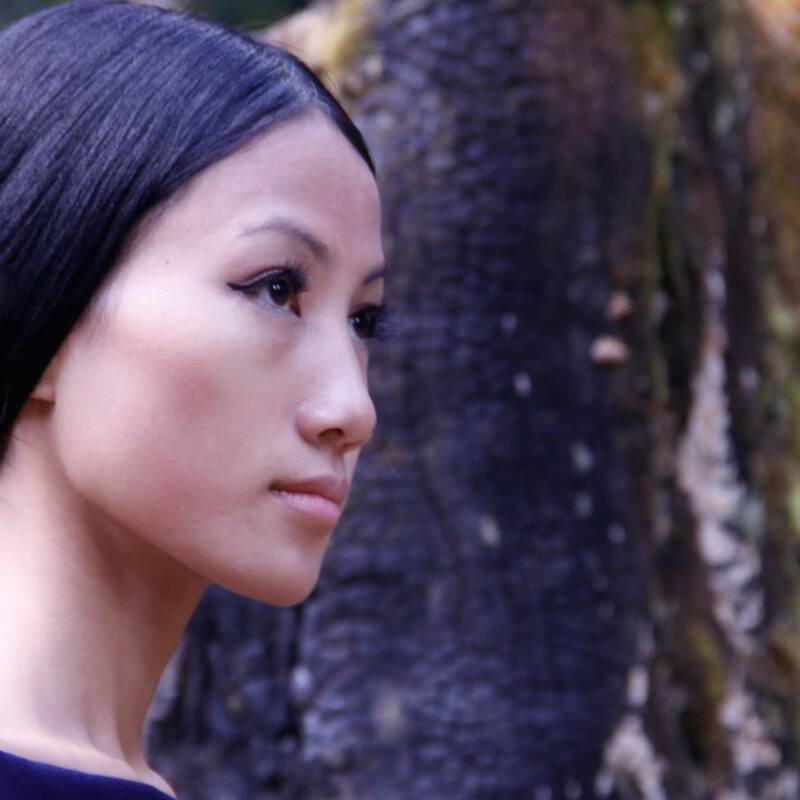 Her label stands for Youth, a fresh take on the regular. Colours of spring with Indian motifs in flowing, dreamy fabrics. I love it. And the venue? Le Meridien Hotel, New Delhi. Le Meridien hotel has over 350 luxurious guest rooms with grand views of Lutyen's Delhi and a serene atmosphere for an excellent stay. Le Meridien New Delhi will surely satisfy the traveler looking for a destination that engages your curiosity and appetite for culture and comfort. It's many destinations within a destination. Arrive at the Hotel, welcome the bride and her other friends for blissful pampering at the Three Graces Spa, Le Meridien. 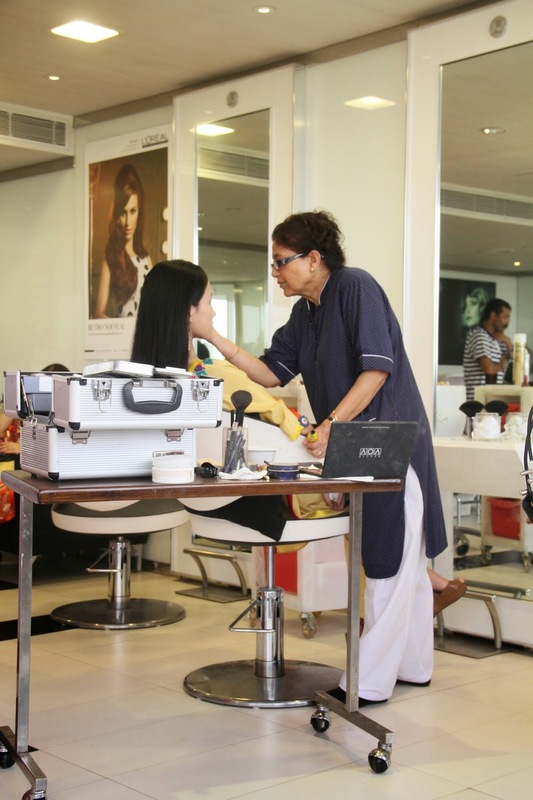 Make up and Hair at La belle, the Salon; for the Mehendi Lunch at Allure, Le Meridien. 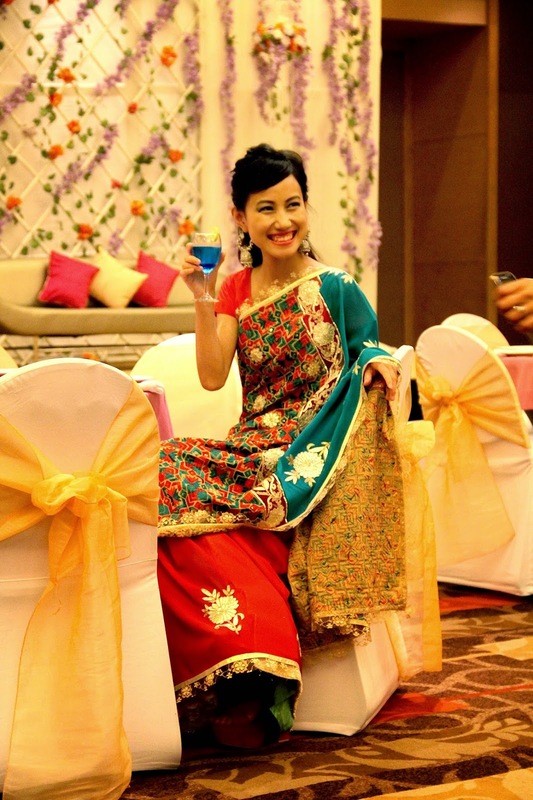 Get ready for the Wedding Do at Sovereign, Le Meridien. See off the Bride and her groom to the Bridal Suite! Time for cocktails and dancing at Nero. Now time to get my shoes and accessories in order, for the big fun day! So on a sunny April morning, I arrive at Le Meridien Hotel in Delhi to be a part of Wedding Diaries: A full day dedicated to wedding celebrations wearing lovely outfits by Anu PD, to attend the many Wedding functions at amazing venues inside the well-appointed Le Meridien Hotel. I had a gorgeous double bedroom on the 9th floor, with a fantastic view of the greenest part of the city including a glimpse of India Gate. Here, I could relax, shower, nap, change in between functions and enjoy the day with the bride and other friends as we celebrated a glorious Indian wedding in style and luxurious comfort. It was going to be a long day and I reached out for the big bowl of assorted fruits and bit into a juicy apple. My first outfit for the day: A georgette jumpsuit with embellishments on the sleeves in a luxe cream/iced coffee colour. There's me in the lovely outfit. Talking with fashion and travel bloggers. We are friends and guests of the "Bride" waiting to "meet and greet" the bride of the day and her other friends in Resort wear by Anu PD. 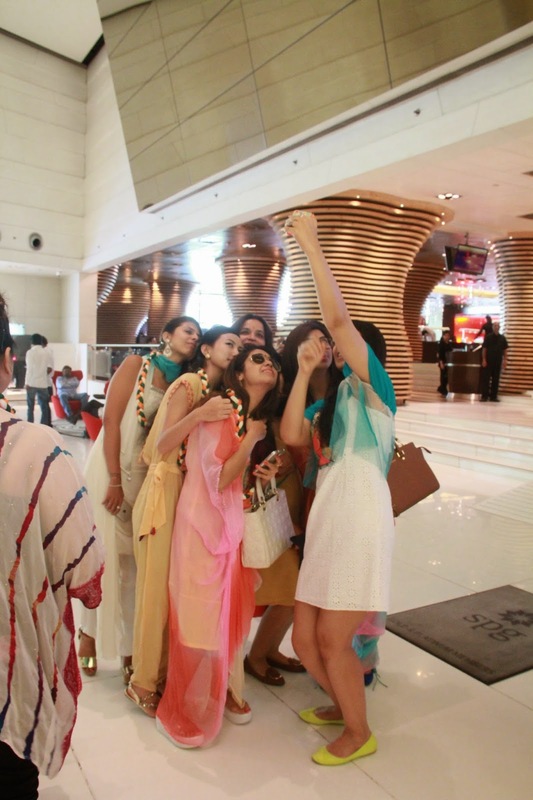 More photos with bloggers dressed in beautiful outfits by Anu PD, at the Lobby, Le Meridien. The welcome garland is surely quirky and patriotic! My sandals are from El zado. That's the Wedding Diaries bridal party and the designer, Anu. Wearing Le Meridien bathrobe and slippers. 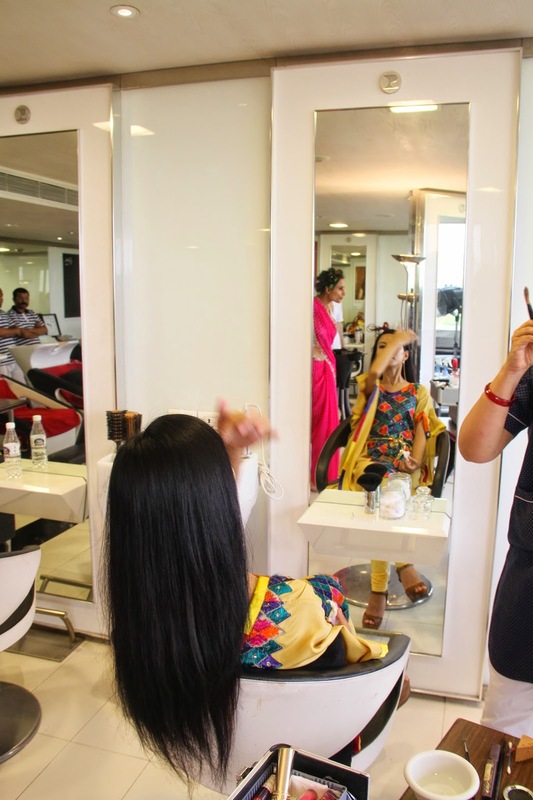 Getting my hair and make-up done at the salon La Belle, for the Mehendi Lunch. Outfit 2. Yes. That's what I am wearing for the Mehendi lunch. A happy medley of colours. A kaftan style top with churidar pants by Anu PD and wedges by Dulla. Comfortable yet stylish. Last touch up before heading down to lunch. 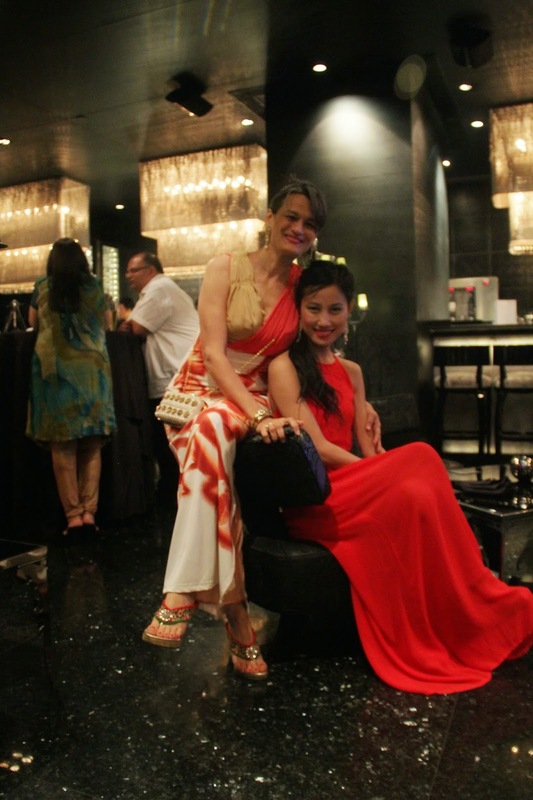 Fun at the Mehendi Lunch, Allure @Le Meridien. The bride sits pretty. All outfits by Anu PD. 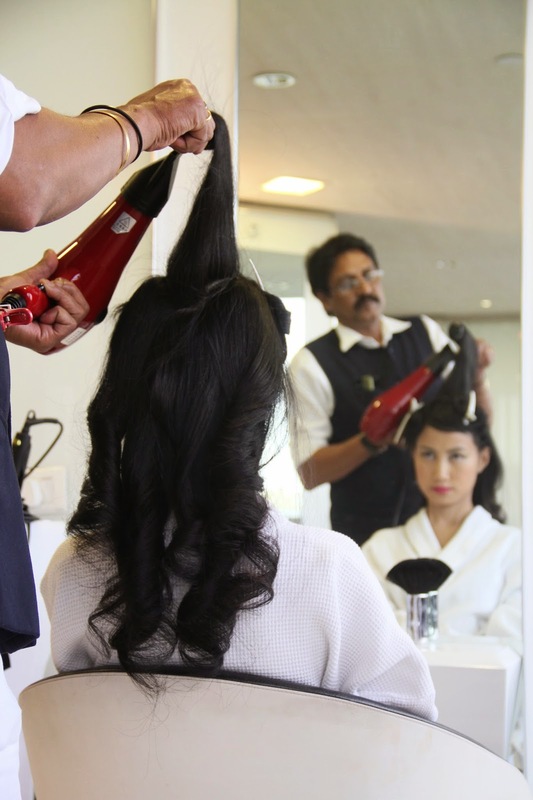 Hair and makeup for the Wedding at La Belle, the salon, Le Meridien. Outfit 3: Cheers! 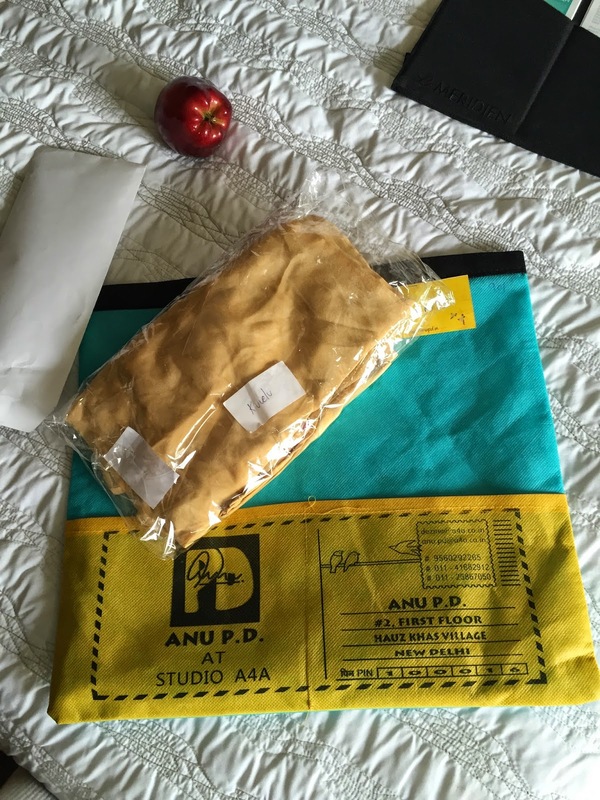 A gorgeous Saree by Anu PD. With delicate gold motifs and colourful embroidery. Feeling like a bride myself. Red block heels from Bangkok. Now, that's the bride in the middle. Festive Bridal wear by Anu PD. Friends of the bride. New blogger friends. All wearing Anu PD designs. The modern and romantic bridal set at Sovereign, Le Meridien. Anu PD and I for the Cocktails at Nero, Le Meridien. Wearing sheer, backless red, embellished gold belted Anu PD dress. 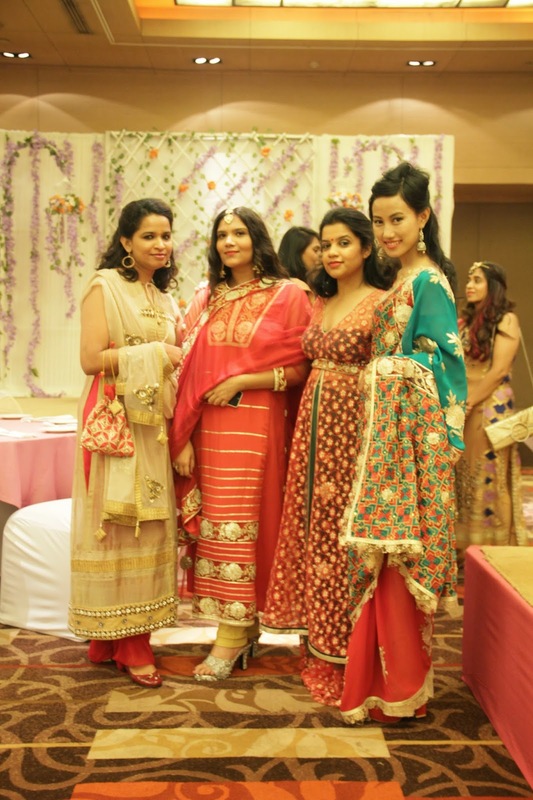 With the brides and the designer Anu PD for Wedding Diaries at Nero, Le Meridien. More posts coming. Watch out for the outfit posts. Thank you Anu PD for the great day. Gorgeous clothes. Cool moments. Goodies. Thanks to Le Meridien for the hospitality and the happy treats. Lasting memories. I held an event here, and it couldn't have gone any smoother. An infinite list of food items were there at Malibu wedding venue. Their staff and manager were excellent. As an event coordinator, they made my job extremely easy.